When World War II breaks out in Europe and the Nazis occupy their homeland, two Dutch families living in South Africa move to the Netherlands East Indies (now Indonesia) to contribute to the defense of the colony. But two years later, they are caught up in the Pacific War which was unleashed to provide Japan with a secure supply of raw materials, mainly from the Netherlands East Indies. After the Japanese occupy Java and commence a policy of ethnic cleansing, the two men are interned leaving the women to fend for themselves. Several months later the women are also forced out of their homes and the story follows them as well as a child and a grandmother through almost four years of increasingly hellish internment in Bandoeng and Batavia. The young women have no idea of the fate of their husbands. Miraculously, both families survive and are reunited, returning to South Africa as refugees – only to find that their bitter experience on Java is to give them new insight into the developments in that country. 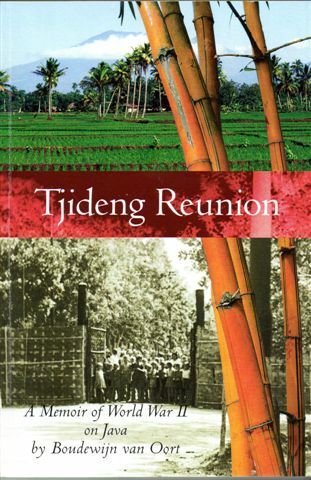 Tjideng Reunion is told against the backdrop of the dramatic political and military events that unfolded around the two families and changed the course of their lives. Boudewyn van Oort was born in South Africa, and after the war was educated in South Africa and Canada (Carleton University, Geology). A Rhodes Scholar, he studied Politics, Philosophy and Economics at Oxford, subsequently pursuing an engineering career in the oil and gas industry. Now retired, he lives in Victoria with his wife and daughter.